Stuart Shalat received funding from New Jersey Department of Environmental Protection. If you want to get a soccer mom’s attention, bring up the subject of artificial turf, the preferred playing surface for children from pre-K to college – or at least preferred by school boards and parks and recreation departments. As an environmental health professor who has examined a variety of environmental problems and as a soccer dad who watched my son play on these fields for years, I think it’s worth examining the facts and myths about artificial turf fields and what hazards may or may not be associated with playing on them. Based on studies I have reviewed and conducted, I believe there is a potential health risk, because of the chemicals in tires, which are recycled into crumbs to support the plastic blades of synthetic grass. Backing material that will serve to hold the individual blades of artificial grass. The infill, those tiny black crumbs, that helps support the blades. The crumbs of artificial turf. Various pigments are used to provide the green color of the blades. These can include lead or titanium for the white lines and still other metals for school logos on the field. Those little black crumbs are the problems. Tires can be toxic. Modern tires are a mixture of natural and synthetic rubber, carbon black – a material made from petroleum – and somewhere between four and 10 gallons of petroleum products. They also contain metals, including cadmium, lead, which is neurotoxic, and zinc. Some of the chemicals in tires, such as dibenzopyrenes, are known carcinogens. Also, in addition to chemicals used in the manufacture of the tire, any chemical the tires were exposed to in their use can become absorbed on the carbon black in the tires. it turns out that crabgrass and other weeds can start growing in it. To keep its finely manicured appearance, weedkillers need to be applied, a relatively common practice. Unfortunately, a variety of health concerns have been linked to these products. Also, artificial turf is often treated with biocides, as turf has been associated with increased risk of infections from Methicillin Resistant Staphylococcus aureus (MRSA). MRSA is a dangerous infection because it is resistant to many antibiotics. It can lead to pneumonia, sepsis and bloodstream infections that can prove fatal. An MRSA infection can happen after skin is scraped or cut, which can occur from sliding on artificial turf. Biocides, however, may have toxic effects of their own. And, they may also contribute to increased resistance of bacteria to the efficacy of these agents. Fields with artificial turf tend to get far hotter than grass fields. Field surface temperatures can reach as high as 200 degrees Fahrenheit. At these temperatures, even with athletic shoes on, children can get burned feet. It is rare, even on a very hot day, that natural grass exceeds half that (100°F). While manufacturers recommend spraying fields with water to keep the temperature down, this improvement can vanish in as little as 20 minutes. Because it is laid over either concrete or compacted earth, artificial turf is a harder surface than grass. This can increase the risk of injuries, particularly concussions. The unit used to describe hardness is Gmax. While different numbers have been reported for the Gmax for artificial turf, ranging from the high 60’s to over 125, it is important to keep in mind that these numbers are highly dependent on the substrate, temperature, age and maintenance of the field. The key is that the higher the number, the higher the likelihood of concussion. Can the tire chemicals get into kids? The key question on exposure is: Do these chemicals get into children playing on these fields? While it is true that the tire crumbs are large, it is easy to show that they don’t necessarily remain large over the life of the field. In a New Jersey study we employed a robot we call PIPER (Pretoddler Inhalable Particulate Environmental Robotic) to study if there were inhalable exposures from the artificial turf. We showed the tiny particles from the turf can become suspended in air above the field and inhaled by children playing on the field. What has become apparent is that microscopic carbon black particles break off from the crumb rubber and are small enough to be inhalable. Additionally, the blades of grass can also break down into microscopic particles over years of exposure to sunlight and weather, forming a respirable dust. How do these particles get into a child? Think of the “Peanuts” comic strip character Pig Pen, the child always followed around by a visible cloud. The truth is that all children – indeed, all people – have a cloud around them of microscopic particles. This personal micro-environment of dust particles, invisible to the naked eye, is just as real as Pig Pen’s. These small particles and their chemicals can be inhaled or swallowed by a child. And if so, do they cause illness? A clear answer on whether artificial turf increases the risk of injury or illness is far more challenging. Let’s consider the two major concerns with regard to artificial turf: cancer and neurologic effects. The question of cancer and artificial turf gained significant national attention in the U.S. with a series of news stories on NBC Nightly News regarding a cluster of cancers in young women soccer players. A cancer cluster is the appearance of an unusually high rate of cancer in one location in a particular time frame. The story, while dismissed by the turf industry, again resurfaced in the fall of 2015. Information has continued to accrue on this cancer cluster. While as many as 80 percent of suspected cancer clusters are determined not to be true increases in cancer cases and due only to random chance, the problem is that, without detailed and often expensive scientific investigation, whether it is real or not cannot be determined. Just recently the Washington State Department of Health issued a report on its study of the reported cancer cluster in these soccer players. Their report found no evidence of a causal effect of playing on artificial turf and cancer. As they acknowledge, that does not mean there is no risk, only that this study did not find one. They also suggested there is still room for broader investigation on this question. What about the potential risk of neurologic impairment from ingestion or inhalation of any lead present in the turf? The lead can be present in both the blades, as a color pigment for logos and white lines, as well as in the infill crumb rubber. For more information on lead, see my earlier article for The Conversation. What’s the bottom line on safety? While the turf industry says it’s safe, we know that tires contain established carcinogens. If we considered only what tires are made of, we would think they should be classified as hazardous waste, though currently EPA classifies tires as municipal waste. 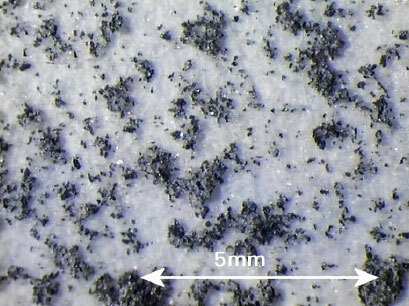 The EPA has been conducting research into the question of toxicity of crumb rubber, but the jury is still out. There is little question in the mind of many scientists that crumb rubber should not be a first choice material for children to play on. Parents should be able to just enjoy watching their children playing sports and not worry that they are being put unnecessarily at risk. A correction was made to this article March 23, 2017 to accurately describe MRSA, which is Methicillin Resistant Staphylococcus aureus, not Multi-drug Resistant Staphylococcus aureus, as was originally stated. In addition, MRSA is not flesh-eating bacteria. It can cause serious consequences, including sepsis and bloodstream infections.